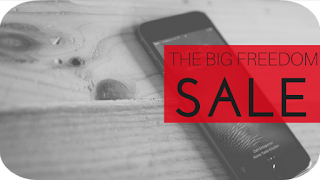 Flipkart Big Freedom Sale has started from today. Flipkart Big Freedom Cell will run from 10 to 12 August. During the sale, customers will get discount on thousands of products and many offers. If you are buying a product at Flipkart then check price at Amazon Freedom Sale. If Citizens pay the bills with credit card for purchasing goods worth Rs 4,999 or more then 10 percent cashback will be available. The maximum cashback per card will be Rs 2,000. Flipkart will get exchange offers, non-interest EMI and buyback offers on select electronic products. Let's tell you, on the first day of Flipkart Big Freedom Sale you can find great deals on which smartphones. The MRP of Honor 7A 32 GB model is Rs. 10,999. This handset is being sold at a discount of Rs 7,999. The Hewway smartphone will have a 5.7-inch HD + display, dual rear camera setup. There is a 3,000 mAh battery for power backup. Honor 7A supports Android Oreo 8.0. Google Pixel 2's MRP is 61,000 rupees. But in the Flipkart Freedom Cell this handset is being sold for discounts at Rs 49,999. Upon the exchanges, a maximum of 15,950 rupees will be available. An additional cashback of Rs 8,000 will be available on HDFC Bank debit or credit card payment. Google Pixel 2 has a 5-inch full HD display. 12.2 megapixel rear for photography and 8 megapixel front camera for selfie. Google Pixel 2 offers Qualcomm Snapdragon 835 processor and 4 GB RAM. Honor 10 is MRP 35,999 but this handset is being sold for a discount of Rs 29,999. An old phone exchange will also get an instant discount of 17,950 rupees. Honor 10 will have 5.84 inch full HD + display, dual rear camera. A 24-megapixel selfie camera is available for Selfie. The smartphone will have 3,400 mAh battery for power backup. LG G7+ Think is available for sale for the first time in India. There is no flat discount on LG's handset launched a few days ago. Flipkart is offering many offers with this smartphone. On an old phone exchange, an instant discount of Rs 15,950 will be available. Buyback of Rs 30,000 for an additional charge of 199 This means that if you return the phone after eight months, then you will be given a minimum of 30,000 rupees. LG G7 + ThinQ has a 6.1-inch quad HD + display, dual rear camera. This handset comes with Qualcomm Snapdragon 845 processor and 6 GB RAM. Let's say LG G7+ Think price is Rs 39,990.